13th – 17th March 2017, Oxford University Department of Physics, (UK). 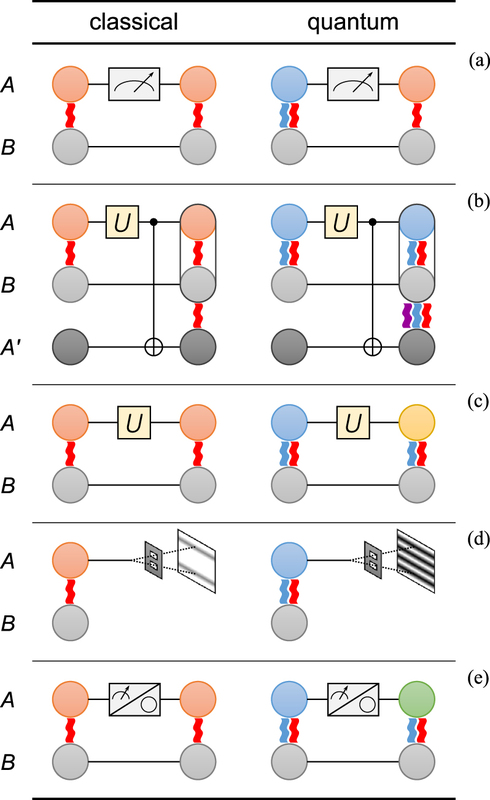 The Fifth Quantum Thermodynamics Conference covers theory and experiments related to thermodynamics of quantum systems, information thermodynamics, thermalisation and equilibration, foundations of thermodynamics, and quantum heat engines. I’ll be visiting the conference on Tuesday with my colleague Rebecca Gillan. I’m looking forward to taking in as much of the conference as possible in one day. Particularly the evening poster session, with the poster prizes sponsored by JPhysA. In the gaps and during any spare time we will be based in the Physics Dept foyer so please do come by! I will be available to talk and answer questions about JPhysA and the JPhys+ blog. Figure 1. Thao Le et al 2017 J. Phys. A: Math. Theor. 50 055302 Figure 2. Gerardo Adesso et al 2016 J. Phys. A: Math. Theor. 49 473001 both copyright IOP Publishing Ltd.